It might seem strange at first thought that you shouldn’t wish for perfect conditions. Why? Find out in the video and in the text of the video below! Hey, I want to talk to you today about just how absolutely boring perfection can be. It might sound like an odd topic, but first of all, I’m Larry Broughton. My friends know that one of my favorite places in California is Santa Barbara. It’s one of my favorite cities frankly in all of the United States. Maybe it’s the Spanish Mediterranean-style architecture that’s everywhere there. Maybe it’s the great people and the awesome restaurants, or the fact that it’s nestled right between the mountains and the ocean. It’s a very powerful spot. One of my favorite spots in Santa Barbara are the beautiful rose gardens that are in the front of the historic mission that’s there. It’s an absolutely dynamic, beautiful place. You can have the ocean out in the distance and the mountains that are there. On days where the breeze is coming off the ocean as you’re walking towards the gardens you can smell the strong, amazing fragrances of those roses long before you ever get there. You know how smells can take you back to another place in time? Well, I was down here in Orange County recently. I wanted to buy some roses for a friend of mine so I wanted to be taken back frankly to this time in Santa Barbara. I walked into this florist and there were these beautiful long stemmed roses that were there. 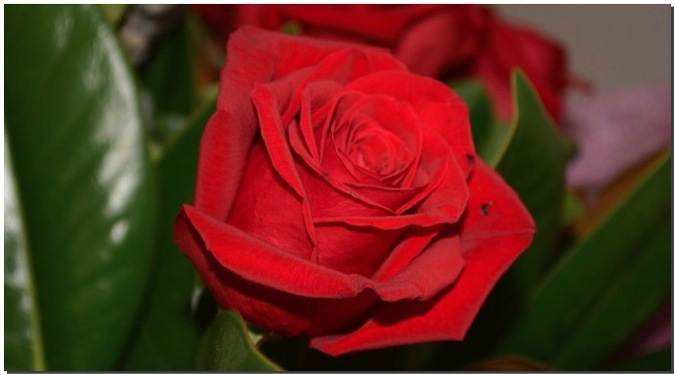 Perfectly long stems, beautiful buds or blossoms that are on these roses. I leaned over to smell them and I could see out of the corner of my eye that the florist was walking towards me at the same time. She could tell I had this puzzled look on my face like there was no fragrance to these roses. She noticed that I had some kind of strange look on my face so she said “Hey, these are hothouse roses.” She could tell I didn’t know what those were. She went on to explain to me that these roses don’t have a fragrance because frankly they don’t need them. They are cared for and they are tended to by a gardener who feeds them, who waters them, who watches out for them, and who makes sure that they don’t get eaten by rodents or they don’t have bugs that are chewing on them or gnawing on them. They’re grown in absolutely perfect conditions, just the right amount of light each day. She went on to explain these roses, like at the rose garden up in Santa Barbara, these outside roses, they had to develop strong rose scent in order to attract the bees who are going to come and pollinate them. These roses that are grown outdoors face much harsher conditions than those that are grown indoors in a hothouse or in a greenhouse. They face the wind and the rain and bugs and the possibility that deer are going to come down and eat these for food. These roses that are outdoors, they’re not only beautiful to look at, they’re beautiful to smell. It’s a great way for us to look at our lives. If we lived under perfect conditions we might absolutely look beautiful. We won’t have the scars. If we lived under perfect conditions we wouldn’t be cutting ourselves. We wouldn’t be in car accidents. We wouldn’t have the emotional scars that we have in life. Yeah, we might look beautiful on the outside but to me it’s really those folks who are tempered in the heat of life’s battles and the ovens of adversity who become beautiful both inside and out. These are people who become really strong and talented over time. I want to encourage you to avoid wishing for a life of perfect conditions, but rather to accept life’s challenges and accept the beauty that comes from the battle. Now, I hope that you got a little bit out of this little object lesson today, but if you want more tidbits on transformational leadership and inspiration, then I hope that you’ll visit us at yoogozi.com. Now go do something significant today. Go get ’em. What adversities have made you a stronger person? I’ve had many but I’d like to hear about yours and what you did to overcome – we can learn from each other!